گلزاری, ابوعلی, عبدلی, محمدعلی, خدادادی, عباسعلی, کرباسی, عبدالرضا, ایمانیان, سجاد. (1395). بررسی فرایندهای انعقاد الکتریکی و شیمیایی برای جداسازی میکروجلبک های آب شور. نشریه شیمی و مهندسی شیمی ایران, 35(1), 39-52. ابوعلی گلزاری; محمدعلی عبدلی; عباسعلی خدادادی; عبدالرضا کرباسی; سجاد ایمانیان. "بررسی فرایندهای انعقاد الکتریکی و شیمیایی برای جداسازی میکروجلبک های آب شور". نشریه شیمی و مهندسی شیمی ایران, 35, 1, 1395, 39-52. گلزاری, ابوعلی, عبدلی, محمدعلی, خدادادی, عباسعلی, کرباسی, عبدالرضا, ایمانیان, سجاد. (1395). 'بررسی فرایندهای انعقاد الکتریکی و شیمیایی برای جداسازی میکروجلبک های آب شور', نشریه شیمی و مهندسی شیمی ایران, 35(1), pp. 39-52. گلزاری, ابوعلی, عبدلی, محمدعلی, خدادادی, عباسعلی, کرباسی, عبدالرضا, ایمانیان, سجاد. بررسی فرایندهای انعقاد الکتریکی و شیمیایی برای جداسازی میکروجلبک های آب شور. نشریه شیمی و مهندسی شیمی ایران, 1395; 35(1): 39-52. اقتصادی و تجاری شدن تولید سوخت زیستی از میکروجلبک‌ها نیازمند حل برخی مشکل ‌های پیش روی آن می ‌باشد. یکی از کلیدی ترین و پرهزینه ترین مرحله‌ های آن، جداسازی میکروجلبک از محیط کشت می ‌باشد.در این پژوهش ابتدا به بررسی این مشکل و ارایه روش‌ های گوناگون جداسازی زیست توده از محیط کشت پرداخته شد و سپس از بین روش‌ها به دلیل سادگی و قابلیت صنعتی شدن، روش انعقاد ـ فلوکولاسیون الکتریکی (EC) برای رفع مشکل انتخاب شد. شرایط بهینه و اثر پارامترهای شدت جریان الکتریکی، زمان ماند و pH محلول اولیه بر میزان جداسازی میکروجلبک‌ها از محیط کشت و میزان هزینه عملیاتی بررسی شد و از آنجا که EC، اغلب به عنوان جانشین انعقاد شیمیایی (CC) معرفی می‌ شود، در ادامه عملکرد CCدر حذف میکروجلبک‌ها نیز مورد ارزیابی قرار گرفت. نتیجه‌ های به دست آمده از بهینه سازی نشان داد که با اعمال شدت جریان الکتریکی mA/cm 6/1، به مدت 65/17 دقیقه درصد جداسازی بسیار دلخواهی (%8/96) با کم ‌ترین هزینه قابل دستیابی است. همچنین برای دستیابی به چنین درصد حذفی نیازی به تنظیم pHنیست. از سوی دیگر، نتیجه‌ های آزمایش ‌های CC نشان داد که با استفاده از آلوم به عنوان منعقد کننده، غلظت بهینه منعقد کننده برابر با mg/L 450 و بهترین pHبرابر با 8 می‌ باشد. در این شرایط درصد حذف جلبک به حدود 85% می ‌رسد. روی هم رفته این پژوهش نشان دهنده آن است که EC یک فرایند کارا و قابل اطمینان برای جداسازی میکرو جلبک‌ها از آب است. EC نسبت به فرایند انعقاد شیمیایی منعطف تر ، پربازده تر و کم هزینه تر است، و البته بایدبه همه این برتری‌ ها، سادگی فرایند و نیاز نداشتن به تجهیزات پیچیده را نیز افزود. Farrell A. E, Plevin R.J, Turner B.T, Jones A.D, O'Hare M, Kammen D. M., EthanolCcan Contribute to Energy and Environmental Goals, Science, 311: 506-508 (2006). Khan S.A., Rashmi Hussain M.Z., Prasad S., Banerjee UC, Prospects of Biodiesel Production from Microalgae in India, Renew. Sust. Energ. Rev., 13: 2361–2372(2009). Rodolfi L., Zitelli G.C., Bassi N., Padovani G., Biondi N., Bonini G., Tredici MR Microalgae for Oil: Strain Selection, Induction of Lipid Synthesis and Outdoor Mass Cultivation in a Low-Cost Photobioreactor, Biotech. Bioeng., 102:100–112(2009). Campbell P.K., Beer T., Batten D, Life Cycle Assessment of Biodiesel Production from Microalgae in Ponds, Bioresour Technol, 102:50–56(2011). Chen P., Min m., Chen y., Wang l., Li y., Chen Q., Review of the Biological and Engineering Aspects of Algae to Fuels Approach, International Journal of Agriculture and Biological Engineering, 2 (4):1-30(2009). Schenk P.M., Skye R., Thomas-Hall, Stephens E., Marx U.C., Mussgnug J.H., Posten C., Kruse O., Hankamer B., Second Generation Biofuels: High-Efficiency Microalgae for Biodiesel Production, Bioenergy Res., 1:20–43(2008). Uduman, Nyomi, Ying Qi, Michael K. Danquah, Gareth M. Forde, Andrew Hoadley, Dewatering of Microalgal Cultures: A Major Bottleneck to Algae-Based Fuels, Journal of Renewable and Sustainable Energy, 2(1):012701 (2010). Tenney M.W., Echelberger J., W.F. S., R.G., P., J.L., Algal Flocculation with Synthetic Organic Polyelectrolytes, Applied microbiology, 18(6), 965 - 971 (1969). Bernhardt H., Clasen J., Flocculation of Micro-Organisms., Journal of Water Supply: Research and Technology - Aqua, 40(2):76 - 87(1991). Adam J. Dassey & Chandra S. Theegala, Reducing Electrocoagulation Harvesting Costs for Practical Microalgal Biodiesel Production, Environmental Technology Journal, 35(6): 691–697 (2013). Danquah M.K., Ang L., Uduman N., Moheimani N., Fordea G.M., Dewatering of Microalgal Culture for Biodiesel Production: Exploring Polymer Flocculation and Tangential Flow Filtration, J Chem Technol Biot., 84:1078–1083(2009). Uduman N., Qi Y., Danquah M.K., Forde G.M., Hoadley A., Dewatering of Microalgal Cultures: A Major Bottleneck to Algae-Based Fuels, J. Renew. Sustain. Energy., 2:012701(2010). Brennan L., Owende P., Biofuels from Microalgae-A Review of Technologies for Production, Processing, and Extractions of Biofuels and co-Products, Renew. Sust. Energ. Rev., 14:557–577 (2010). Choi S.K., Lee J.Y., Kwon D.Y., Cho K.J., Settling Characteristics of Problem Algae in the Water Treatment Process, Water Sci. Technol., 53:113–119(2006). Edzwald J.K., Algae, Bubbles, Coagulants, and Dissolved Air Flotation, Water Sci. Technol., 27:67–81(1993). Knuckey R.M., Brown M.R., Robert R., Frampton DMF Production of Microalgal concentrates by Flocculation and Their Assessment as Aquaculture Feeds, Aquacult Eng., 35:300–313(2006). Uduman N., Qi Y., Danquah M.K., Forde G.M., Hoadley A., Dewatering of Microalgal Cultures: A Major Bottleneck to Algae-Based Fuels, J. Renew Sustain Energy, 2:012701(2010). Bilanovic D., Shelef G., Sukenik A., Flocculation of Microalgae with Cationic Polymers Effects of Medium Salinity, Biomass, 17:65–76(1988). Molina Grima M.E., Belarbi E.H., Fernandez F.G.A., Medina A.R., Chisti Y., Recovery of Microalgal Biomass and Metabolites: Process Options and Economics, Biotechnol Adv. 20:491–515(2003). Mollah M.Y.A., Morkovsky P., Gomes J.A.G., Kesmez M., Parga J., Cocke DL, Fundamentals, Present and Future Perspectives of Electrocoagulation, J. Hazard Mater, 114:199–210(2004). Gao S., Yang J., Tian J., Ma F., Tu G., Du M, Electro-Coagulation–Flotation Process for Algae Removal, J. Hazard Mater, 177:336–343(2010). Gao S., Du M., Tian J., Yang J., Ma F., Nan J., Effects of Chloride Ions on Electrocoagulation–Flotation Process with Aluminum Electrodes for Algae Removal, J. Hazard Mater, 182: 827–834 (2010). Nanseu-Njiki C.P., Tchamango S.R., Ngom P.C., Darchen A., Ngameni E., Mercury(II) Removal from Water by Electrocoagulation Using Aluminium and Iron Electrodes., Journal of Hazardous Materials, 168: 1430-1436 (2009). Martínez-Villafa˜ n, J.F., Montero-Ocampo C., García-Lara A.M., Energy and Electrode Consumption Analysis of Electrocoagulation for the Removal of Arsenic from Underground Water, Journal of Hazardous Materials, 172: 1617-1622( 2009). Vasudevan S., Lakshmi J., Sozhan G., Effects of Alternating and Direct Current in Electrocoagulation Process on the Removal of Cadmium from Water, Journal of Hazardous Materials, 192:26-34(2011). Akbal F., Camc S., Copper, Chromium and Nickel Removal from Metal Plating Wastewater, Desalination, 269:214-222 (2011). Martínez-Villafane J.F., Montero-Ocampo C., García-Lara A.M, Energy and Electrode Consumption Analysis of Electrocoagulation for the Removal of Arsenic from Underground Water, Journal of Hazardous Materials, 172:1617-1622(2009). 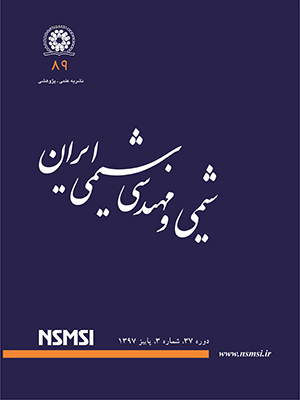 Behbahani.M, Alavi Moghadam M.R., Arami M.,Techno-Economical Evaluation Offluoride Removal by Electrocoagulation Process: Optimization Through Response Surface Methodology, Desalination, 271:209-218(2011). Balasubramanian N. et al., Removal of Arsenic from Aqueous Solution Using Electrocoagulation, Journal of Hazardous Materials, 167: 966-969(2009). Tir M., Moulai-Mostefa N., Optimization of Oil Removal from Oily Wastewater by Electrocoagulation Using Response Surface Method, Jornal of Hazardous Materials, 158:107-115(2008). Nanseu-Njiki, C. P., Tchamango, S. R., Ngom, P. C., Darchen, A., & Ngameni, E. Mercury(II) Removal from Water by Electrocoagulation Using Aluminium, Journal of Hazardous Materials, 168:1430-1436(2009). Escobar C., Soto-Salazar C., Toral M., Optimization of the Electrocoagulation Process for the Removal of Copper, Lead and Cadmium in Natural Waters and Simulated Wastewater, Ines., Journal of Environmental Management, 81: 384-391(2006). Ferreira A. de M., Marchesiello M., Thivel P.-X., Removal of Copper, Zinc and Nickel Present in Natural Water Containing Ca2+ and HCO-, Separation and Purification Technology, 107:109-117 (2013). Sadri Moghaddam S., Alavi Moghaddam M.R., Arami M., Coagulation/Flocculation Process for Dye Removal Using Sludge from Water Treatment Plant: Optimization Through Response Surface Methodology, Journal of Hazardous Materials, 175:651-657(2010). محمدی جوزانی، محمدرضا؛ بهجت، یعقوب؛ شاه­حسینی، شاهرخ؛ قائمی، احد بررسی هیدرودینامیک سانتریفیوژ گازی با استفاده از تحلیل CFD، نشریه شیمی و مهندسی شیمی ایران، (1) 33 :89-101(1393). ارجمند؛ مهدی، الحسینی؛ سید حسن، سیدین؛ سید هادی، بررسی آزمایشگاهی فرایند پوشش‌دهی پودر سدیم پرکربنات با محلول سدیم سیلیکات در بستر سیال، نشریه شیمی و مهندسی شیمی ایران، (4) 32 : 45-58 (1392). Montgomery, Douglas C., Runger, George C. and Hubele, Norma Faris. Engineering Statistics, John Wiley & Sons Inc., USA, (2011). Myers, Raymond H., Montgomery, Douglas C. and Anderson-Cook, Christine M., Response Surface Methodology, Third Edition, John Wiley & Sons, Hoboken, New Jersey, (2009). Magharei A, Vahabzadeh F, Sohrabi, Morteza, Rahimi Kashkouli Y, Maleki M. Mixture of Xylose and Glucose Affects Xylitol Production by Pichia guilliermondii: Model Prediction Using Artificial Neural Network, Iranian Journal of Chemistry and Chemical Engineering (IJCCE); 31(1):119-31(2012). Kumar M., Ponselvan F., Malviya J.R., Srivastava V.C., Mall I.D., Treatment of Bio-Digester Effluent by Electrocoagulation Using Iron Electrodes, Journal of Hazardous Materials, 165:345-352 (2009). Daneshvar N., Ashassi H., Rakhshaei R., Pretreatment of Brackish Water Using DC-Electrocoagulation- Method and Optimization, Iranian Journal of Chemistry and Chemical Engineering (IJCCE), 21(1):13-20(2002). Zongo I., Maiga A.H., Wéthé J., Valentin G., Leclerc J.P., Paternotte G., Lapicque F., Electrocoagulation for the Treatment of Textile Wastewaters with Al or Fe Electrodes: Compared Variations of COD Levels, Turbidity and Absorbance, Journal of Hazardous Materials, 169:70-76(2009). Nurani Pabmanavhan, Sivarajan, Meenatchisundaram, Treatment of Acid Blue 113 Dye Solution Using Iron Electrocoagulation. Saravanan, Mohan, Sambhamurthy, Clean – Soil, Air, Water, 38: 565-571 (2010). Gao S., Yang J., Tian J., Ma F., Tu G., Du M., Electro-Coagulation–Flotation Process for Algae Removal, Journal of Hazardous Materials, 177: 336-343 (2010). Rebhun, M. Lurie., Control of Organic Matter by Coagulation and Floc Separation, Water Sci. Technol., 11: 1-20 (1993). Gomes J.A., Daida P., Kesmez M., Weir M., Moreno H., Parga J.R., Cocke D.L., Arsenic Removal by Electrocoagulation Using Combined Al–Fe Electrode System and Characterization of Products, Journal of Hazardous Materials, 139: 220-231 (2007)..
 Emamjomeh M.M., Sivakumar M., An Empirical Model for Defluoridation by Batch Monopolar Electrocoagulation/Flotation (ECF) Process, Journal of Hazardous Materials, 131:118-125 (2006). Kobya M., Can O.T., Bayramoglu M., Treatment of Textile Wastewaters by Electro-Coagulation Using Iron and Aluminum Electrodes, Journal of Hazardous Materials, 100: 995-1000 (2003). Merzouk B., Gourich B., Sekki A., Madani K., Chibane M., Removal Turbidity and Separation of Heavy Metals Using Electrocoagulation–Electroflotation Technique A Case Study, Journal of Hazardous Materials, 164:215-222( 2009). Stephenson R.J., Duff Sh.J.B., Coagulation and Percipitation of a Mechanical Pulping Effluent-I. Removal of Carbon, Colour and Turbidity, Water research, 30:781-792(1996).